Scuba Diving Indonesia offers divers amazing views on a diversity of sea life including more than six hundred species of corals, volcanic formations, deep ocean trenches and more than four thousand species of fish. In fact, the waters of Indonesia are often called “The Garden of Eden” simply because there is such a variety of life and because the waters are home to over twenty percent of the world’s total coral reefs. Besides epic scuba dive sites, you will find many ancient temples and historical war sites, including sunken ships, for divers to explore. Indonesia is the perfect place to enjoy a scuba vacation for the whole family. Your scuba diving experience in Indonesia will depend on the type of scuba diving you want to do. 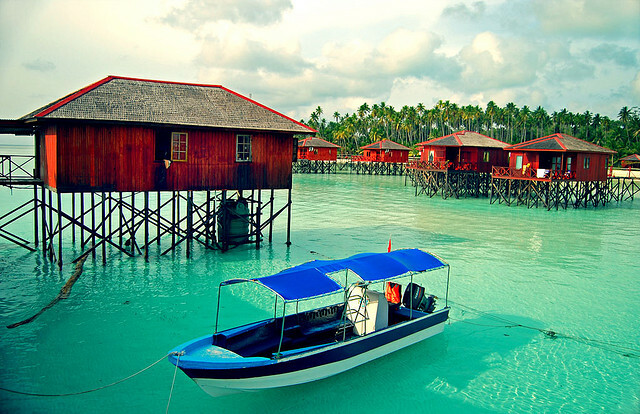 Many divers opt to stay in a luxury resort that offers diving trips in Sulawesi and Bali. 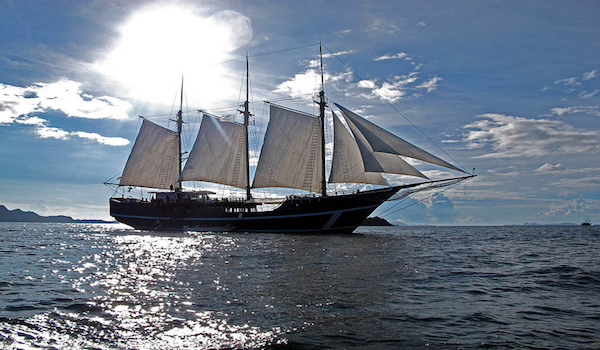 However others opt to go on a liveaboard dive trip that over a period of days takes you to such places as the Banda Sea, Komodo and Wakatobi. Due to the currents surrounding the islands of Indonesia drift diving is the norm, and you will receive some instruction on this before you head to the dive sites. Muck diving is also popular inn many areas and when diving in areas like Secret Bay and Raja Ampat you can see rare species such as the pygmy seashore, the flamboyant cuttlefish and the mimic octopus. You can also explore many shipwrecks around this area, especially ones that sank during World War II. One of the most famous is the USS Liberty in Tulamben Bay. When is the best time to go scuba diving in Indonesia? There is no off-season for scuba diving in Indonesia however most people visit the country between April and December when there are fewer storms, and the water is calm and clear. The rainy season in the area happens between January and March. Rain does not affect the diving experience, and operators conduct dive trips tours year round. There are hundreds of dive locations in and around Indonesia so here is a description of some of the major areas. Many of the following have dozens of dive sites just waiting to be explored. Raja Ampat – This scuba diving paradise is found on the northwest tip of Bird’s Head Peninsula in the Island of new Guinea and consists of four main islands (Misool, Salawati, Batanta and Waigeo). Liveaboard tours are a specialty in this area and usually are offered in lengths of around ten to sixteen days. You will be able to see over 200 fish species and 600 coral species in this area. Komodo National Park – These are islands where you can see manta rays, dolphins and an awesome array of corals in soft pastel colours. There are shallower areas that are easy for beginning divers to handle in Komodo plus day trips into the island’s interior to see the famous Komodo dragons. Sulawesi – This is a dive area in Bunaken Island National Marine Park which boasts some of highest levels of marine biodiversity in the entire world thriving in clear, warm waters. There are many dive resorts near here. Divers can expect to see rare fossil fishes living in coral tubes, dugongs digging in the sand and even sperm whales. The Lembeh Strait which is a shallow diving region with a mucky floor offers divers a microscopic look at rarely seen creatures. Banda Islands – The Banda Sea is found between Komodo and Raja Ampat and is thriving with fish including whales and dolphins. The shallow clear waters are also favorable to beginning divers and snorkelers. The Gili Islands – The Gili Island ) are a very popular place to dive and there are a number of diving resorts and dive schools to be found here. The waters surrounding the islands are full with marine life. You may be able to book a cheap direct flight into Bali from another country in Asia with Tiger Airways, Jetstar or Air Asia. From Singapore, there is a ferry ride that takes you to a small domestic airport that offers flights into Bali. There are both fast and slow ferries that travel from island to island in Indonesia that are inexpensive and expedient, but be sure to book an upper-class ticket, so you are not trapped in a cabin without windows below deck. Want to dive in Indonesia?